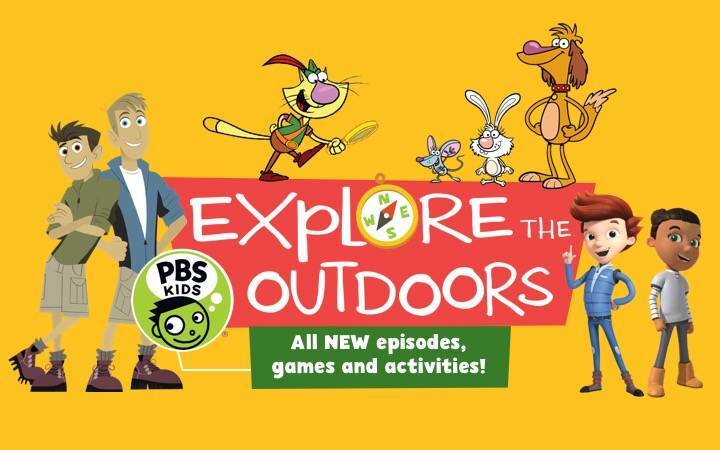 Arlington, VA, April 2, 2019 – In celebration of Earth Month, PBS KIDS has announced a slate of all-new episodes, games and activities to encourage kids and families to get outside and enjoy nature. Beginning April 15, viewers will be able to enjoy a special week of adventures from WILD KRATTS, NATURE CAT and READY JET GO! The new episodes will debut nationwide on PBS stations, the PBS KIDS 24/7 channel and PBS KIDS digital platforms. Spiffy Pictures, founded in 2003 by David and Adam Rudman, is a creative development and production company specializing in family entertainment. The Emmy Award-winning creative team has created, produced, written and directed live-action and animated projects for Nickelodeon, Disney, MTV, Comedy Central, Sesame Street and Warner Brothers. Their projects include creating and producing the Emmy- and Prix Jeunesse-nominated Jack’s Big Music Show for Nick Jr, the Emmy-nominated Bunnytownfor Disney and Nick Jr.’s Parent’s Choice Award-winning Curious Buddies brand of home videos. Spiffy Pictures recently produced a puppet adaptation of Scooby Doo for Warner Brothers, titled Scooby-Doo! Adventures, The Mystery Map. Visit us at www.spiffypictures.com.